How adorable. 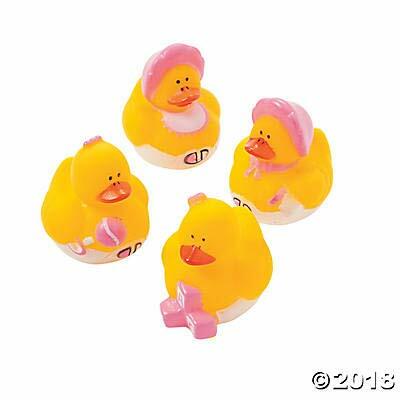 These vinyl baby duckies are dressed in pink and make darling favors for a shower. (2 dozen per unit) 1 3/4" Duckies do not float upright. 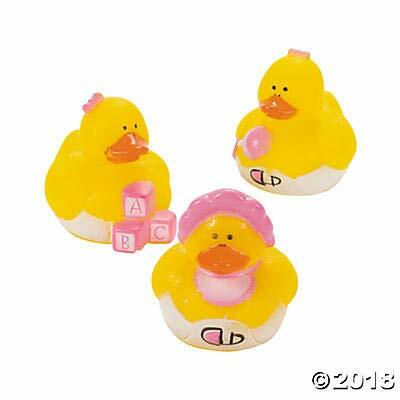 Tagged (24), Baby, Birthday, Dozen, Ducky, Favors, GIRL, Mini, Party, Pink, Rubber, Shower, Two. Bookmark the permalink.